Musician Antony Elvin and director Amy Bicât have written 16 songs for Children. 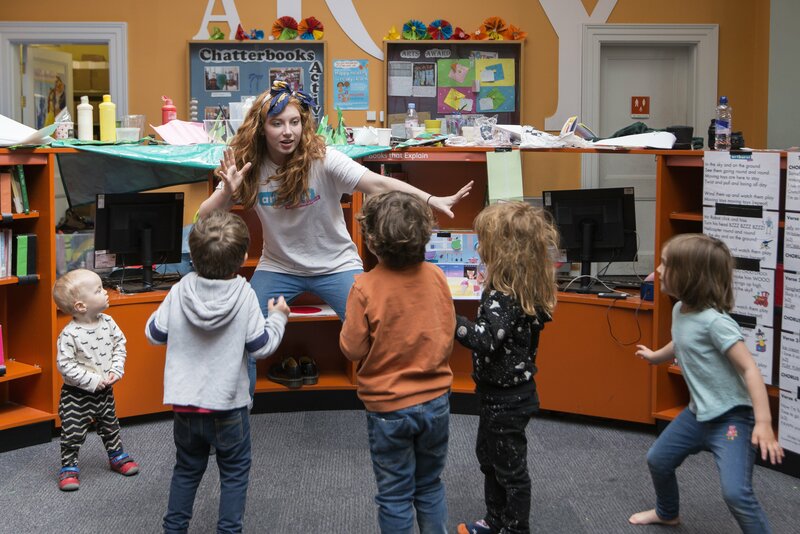 Antony and Amy began writing songs based on the popular ‘Wondertots’ sessions that ran at the V&A Museum of Childhood in Bethnal Green. Songs titles are as follows: Hop, Skip and Jump, Dragons and Daydreams, Down on the Farm, Into the Night, Moving Toys, Transport Song, The Giant Song, The Magic Song, Getting Around in London Town (written specially for the London Transport Museum), The Food Song, The Seaside Song, Home Sweet Home, Once Upon a Time and Animal Safari. All songs are available on Spotify, Itunes and Google Play search for ‘Artburst’. Where can you sing our songs? 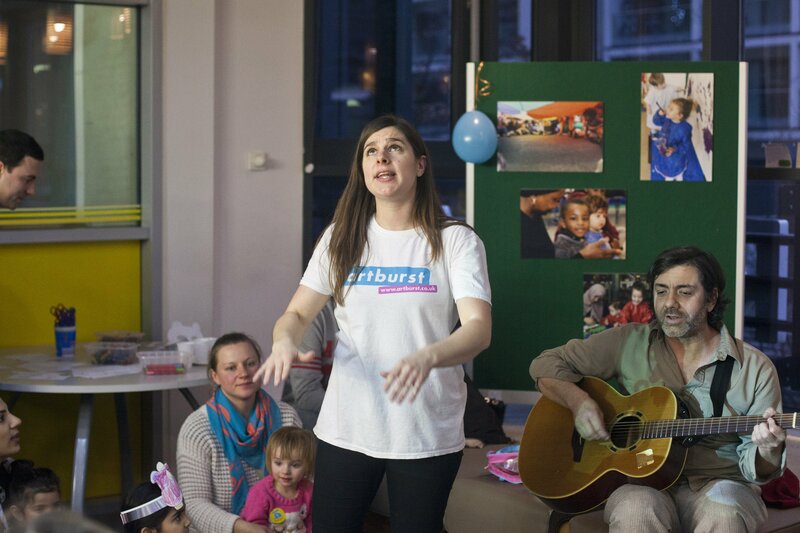 AND at the London Transport Museum Singing and Stories for Under 5s sessions produced by Artburst. Sessions include singing and dancing, as well as the chance to see and touch objects from the Museum collection. Tickets are free with Museum entry and are given out at 10.00 and 13.00 at the Museum ticket desk. Visit ltmuseum.co.uk to find out more. If you want to sing along at home and practice the songs at home you can buy a copy of our song book featuring all of the Artburst songs. Email info@artburst.co.uk to request your copy!